Chester, and his friends, have a grand day of adventure! “Let’s play,” said Chester the Chipmunk. But his friend, Carly, had plans to find a new home and she needs his help. 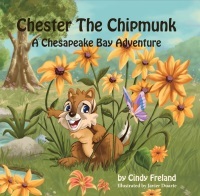 Follow Chester, and his friends, Carly the Chipmunk, Jasmine the Blue Jay, Luther the Squirrel, and Mister Big the Grumpy Frog, as they help each other and experience a day of adventure near the pond at Merkle Wildlife Sanctuary in Upper Marlboro, Maryland. 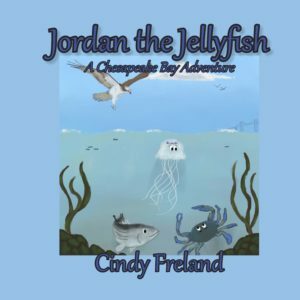 This fun children’s book was inspired by true events. 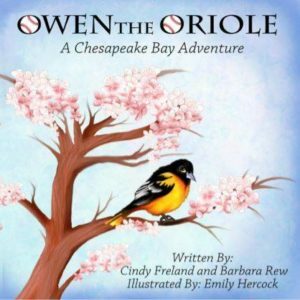 Check out the other books in the Chesapeake Bay Adventure Series. 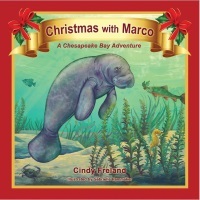 This book includes fun facts about chipmunks, the Chesapeake Bay Bridge, and the Bay. 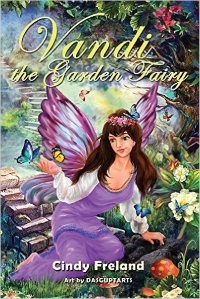 Children from age 3-8 will enjoy this story about unselfishness, trust, being helpful and brave, and learning patience. Story written by Cindy Freland and illustrated by Javier Duarte.